Hi! I am excited about this post. 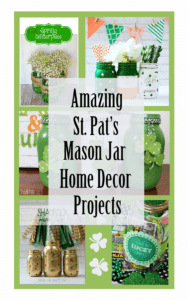 I have joined up with some other crafty bloggers and we have challenged each other to create a fall mason jar project. 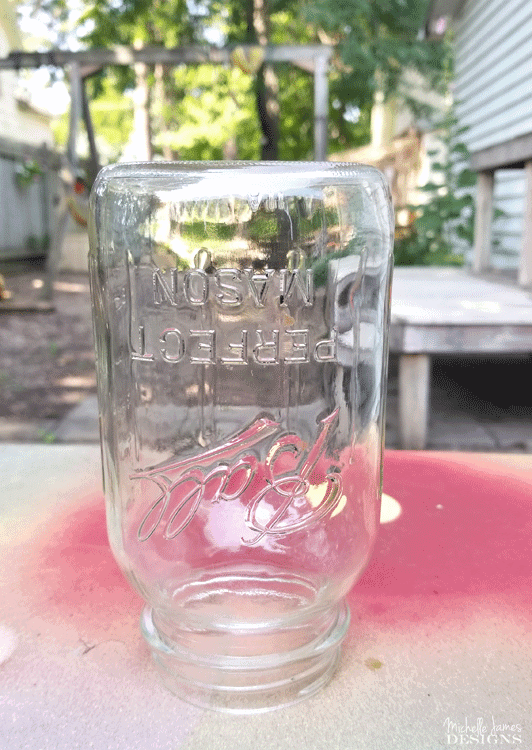 You all know I love to work with mason jars. 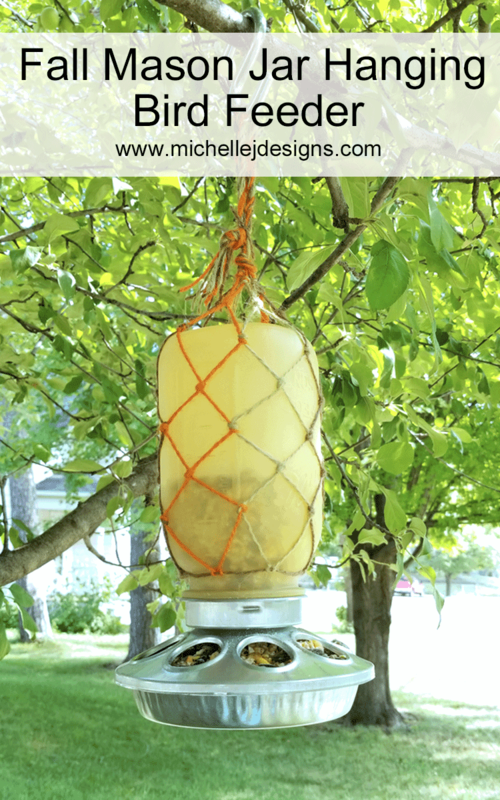 Today I am showing you how to create a fall mason jar hanging bird feeder! 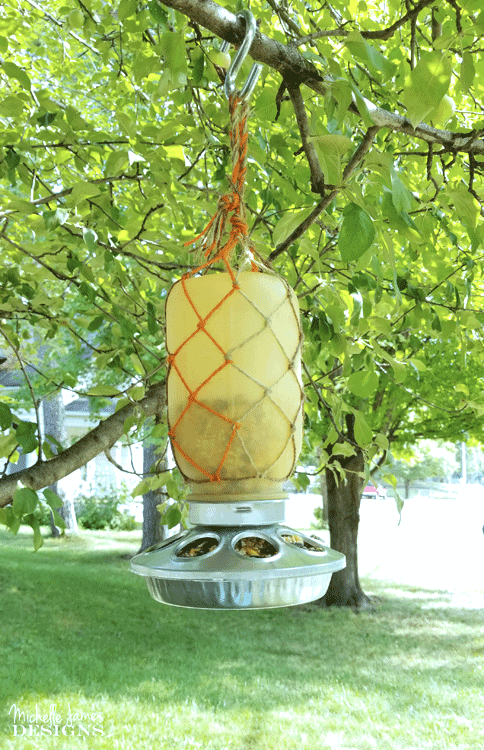 Let’s get started with this hanging bird feeder project! 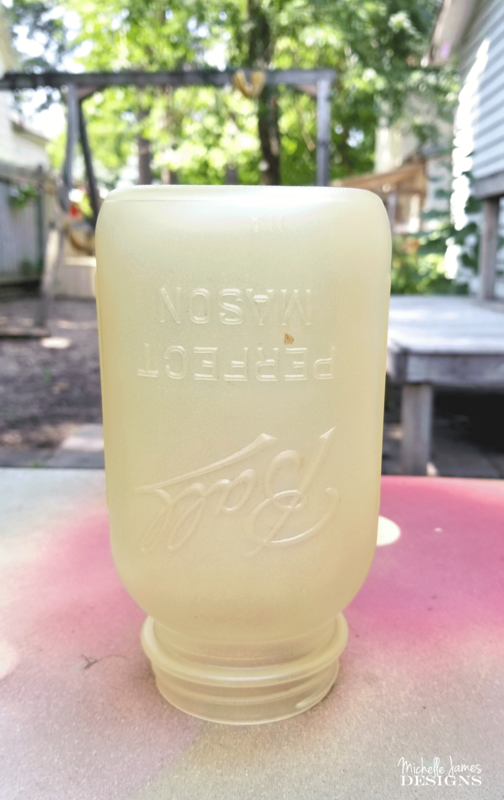 Clean the mason jar and spray it with the Sea Glass spray paint! I gave it two coats with it upside down and then one more coat after I turn it right side up. I love this sea grass spray paint. It went on nicely and I got great results. This is where we add the twine by creating a fish net look. For this step I have created a short video that you can see at the top of this post. This process just involves a series of knots. It wasn’t hard and did not take very long at all. Add the chicken feeder and the bird food and hang up for the birds to enjoy! The mason jar just screws into the chicken feeder. I could not believe how easy it was the first time I saw one of these. It is so perfect. I won’t be able to keep this at my house due to the number of kitties. I would feel like I was setting a trap for the poor birds. But, it will be great to give to someone who doesn’t have outdoor cats or no cats at all. I think the birds will love it. What do you think? If you would like to see more of my fun projects and designs you can click on any of the following links! 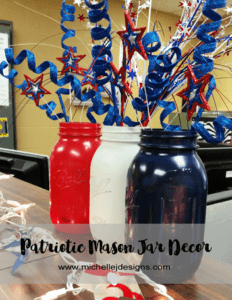 Be sure to check out all of the other fall mason jar crafts! This is such a fun project! Yes, the birds will love it and nope not a good idea for the kitties around! Thanks for the video on how to tie the knots, it looks way more complicated than it really is! Love it! Hi Heather. Yes. It looks much harder than it is and it didn’t take very long at all. I am glad you like it. This is so clever! I would’ve never thought you could make a bird feeder out of a mason jar! Now you can spend all fall watching the birds. Thanks. I really like it but I have to give it away. Our kitties would eat those birds right after they had a good meal. It would be so sad! LOL! What a fun project! 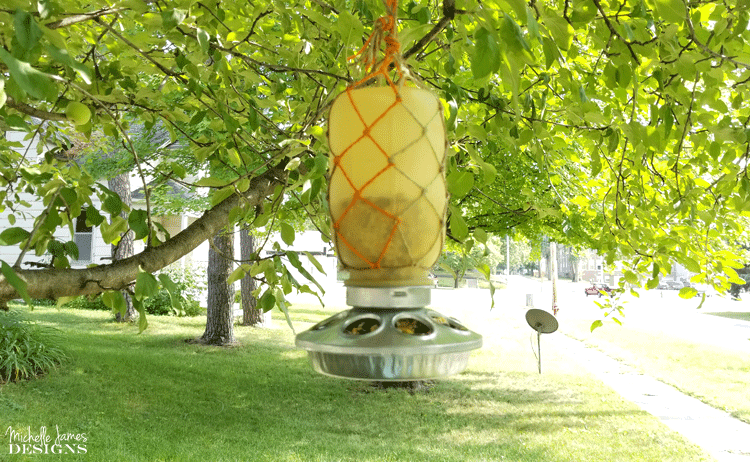 I will have to make one of these for my Mom who loves to watch the birds congregate in her yard and take advantage of her feeders and bird houses! Hi Maureen! I wish I could hang it up. I would love to watch the birds too. It would be a fun project to give to your mom! I just love this one and would want it hanging in my tree too. The part about it being a trap for the birdies because you have cats gave me a giggle but so true. Hi Sue, Thanks so much. I have found a friend who wants this in her yard. It is perfect because she has a nice 4 season room with tons of windows so she can watch them eat and they will be safe. I am glad you like it. I can see a teal one hanging in your tree! Love the idea of using a mason as a bird feeder! Genius idea and perfect for fall. Hi Kara! Thank you. I have been wanting to make one of these for a while. I am glad I waited for fall. The birds will thank me…I hope.